If you drop your iPhone in water that will damage for it. This is how to fix your iPhone in the first step. You have to take your iPhone from the water. Don't turn on power button if iPhone shut down or turn off power button immediately if your phone is power on. You have to bring it to repairman for fix it at mobile repair shop. If you can't go to the iPhone repair shop that you can make it to dry by Silica gel is used as a desiccant. Silica gel will found at the electric appliance or delicatessen or put your iPhone into a bag of uncooked rice. Then you have to go to fix it at repair shop as soon as possible. 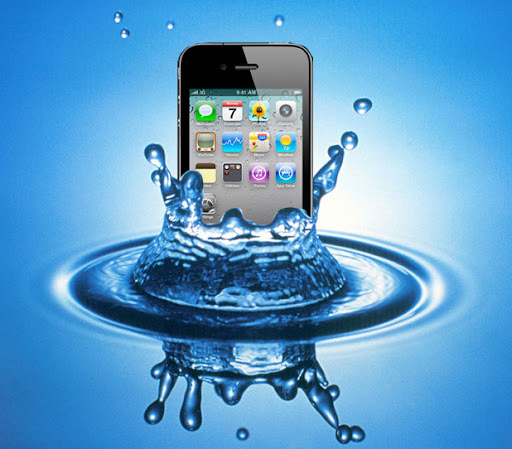 This is one of basic methods to do when your iPhone 3gs or iPhone 4 drop in the water.